Noise Engineering are dabbling in all sorts of formats these days. Not content with producing characterful Eurorack modules, they’ve recently virtualised some modules into Propellerhead Reason. 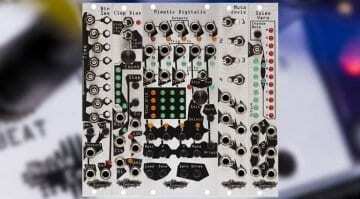 Now they’ve stepped into the realm of the bigger, darker world of 5U modular. This is the space in which Moog Modular operates. When you’re familiar with Eurorack the 5U format seems enormous, almost wasteful. Those chunky jack sockets and proper 1/4″ jack cables seem unwieldy and historical like you’ve stepped into another age. But Noise Engineering believe the format is worth investigating. They are kicking off with two versions of the same drum synthesizer voice. The Basimilus Iteritas Magnus and the gritter version, the Manis Iteritas Magnus. It’s essentially the 5U version of the Basimilus Iteritas Alter and as such is a parameterized digital drum synthesizer based in an analog environment. It has 6 oscillators and a noise source in an additive arrangement with variable waveforms, harmonic spread, attack and decay. These are all folded and morphed to create a quite possibly infinite array of sounds, tones and noises. There are three modes of synthesis which provide some distinct character – Skin, Liquid and Metal. Skin is the most basic with no interaction between oscillators. Liquid brings in a pitch envelope and the first oscillator is frequency is determined by the pitch input. And Metal feeds the oscillators into each other for modulation. The layout is simply blissful when compared to the Eurorack BIA with its fiddly little knobs. 5U is a format that has space that could easily be described as luxurious. Manis takes everything they learned with the Basimilus and makes it even more gritty and aggressive. This is achieved by using only sawtooth waves that are messed about with, modulated and distorted. 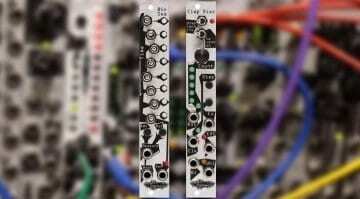 The price of these 5U modules are not that dissimilar from the Eurorack versions. 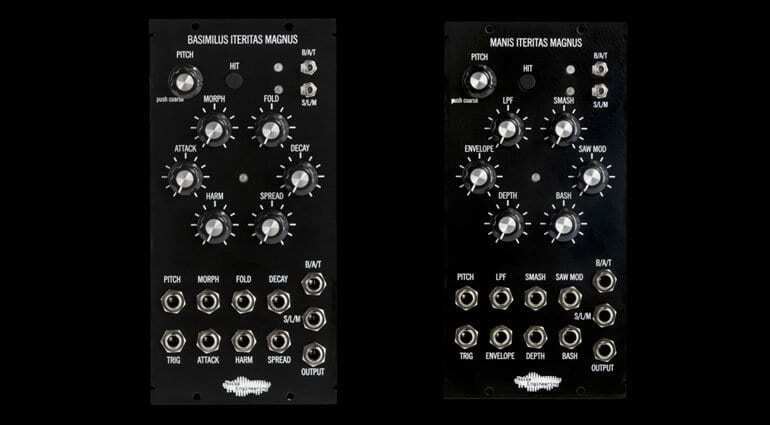 For a limited period they have an introductory price of $355 that is actually the same as the Eurorack. After that they will climb up to a respectable $444. Noise Engineering are taking preorders now and expect to ship on the 21st September. You can have the front panel in the traditional 5U black or stand out of the crowd with the original silver Noise Engineering front panel and artwork. 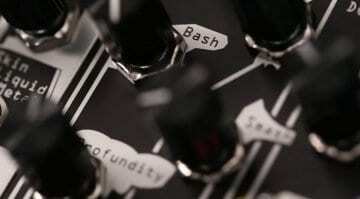 I wonder what the 5U Moog Modular community will think of them?